Owning a smartphone allows you to stay connected with the entire world and have access to all the information you require. If you want to enhance this experience, you should get cool iPhone gadgets that increase the level of performance given by your mobile phone. This way, whenever you need something that can transform your iPhone into a multitasking miniature computer, you won’t have trouble in maximizing your personal and professional productivity. It’s a great way to be trendy and practical at the same time. Listening to your favorite straight from your smartphone can be quite easy with the help of this audio speaker. This cutting-edge audio unit features an incredible bass technology that enables a wide sound range. Moreover, it has a long battery life which means you can play 500 songs and not have to charge the speaker until the following day. 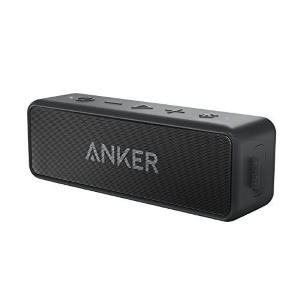 The best part is that you can take this great Bluetooth speaker with you every time you want to enjoy some music. Thanks to the IPX5 water-resistance feature, this item can be used even when spending time outside by the pool. Those of you that like to take beautiful photos of everything they see, a handle grip for their smartphone is indeed a bliss. 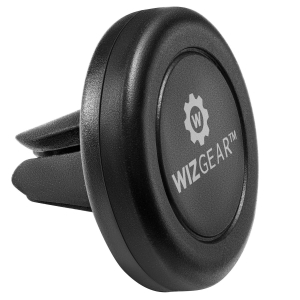 This excellent piece of gadget fits all sort of devices that range from 1.9 to 3.6 inches. Also, the kit comes with a grip, a handle, and a wrist strap. Basically, the grip unit is a spring-loaded mount manufactured from a durable ABS polymer. Due to the V-shaped rubber pads and the thumbscrew, the phone is correctly secured. Depending on your personal choice, you can use the mount in a portrait or landscape orientation. Everyone loves to take selfies. People from all over the world are obsessed with getting the perfect pictures. 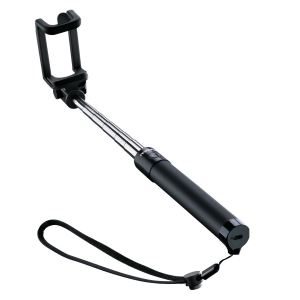 To do, they need a compact and lightweight selfie stick such as this piece right here. One interesting fact is that this product has the ideal size that allows you to take it with you even during your vacation time. It has only 7.1 inches length, and it can be folded so it can be carried in your backpack or purse. Because of the built-in Bluetooth remote and the long-lasting battery, this selfie stick let’s do hundreds of photos day and night. This magnetic holder for smartphones is slim and sturdy and can be easily mounted into the air vent of your car. No matter your phone type, the product produces an intensive force of attraction that holds your device in place. 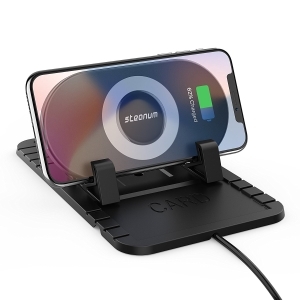 Given the high-quality rubber construction from the base of the mount, you can rest assured that your smartphone won’t come off during vibrations or impacts. The most important feature is that you are able to rotate your phone and swivel you display as you desire. Furthermore, the magnetic car holder is outfitted with a smooth surface that won’t scratch your phone. The worst thing that could possibly happen is to run out of battery when you need to make phone calls or search something on the Internet. If you want to avoid this type of issues, you can get a certified 2-in-1 USB lightning cable. Specially designed to support fast charging, this tool can also sync all of your Ale devices that have a lighting port. On top of this, if you own an Android phone, the micro USB port will prove to be a lifesaver when you need to speed up your battery charge. Plus, the cable has a short length which makes it perfect for travel use. Having a reliable phone charger that you can use while on the go is extremely important since you don’t want to run out of battery when you need to make an urgent phone call. This product is an outstanding choice because it is quite sensitive and has the ability to identify a device the moment you plug it on. Once the phone is placed on the device, the charging process begins immediately. Featuring a useful anti-slip rubber base, the phone won’t fall from the dashboard even if you drive the car on bumpy roads. You can watch a movie or navigate on social media platforms because the battery gets full even when the phone is charging. 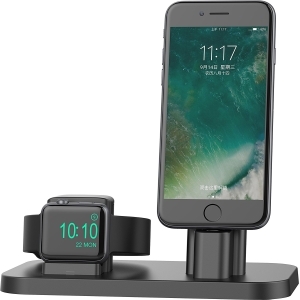 If you want to be able to use your phone and receive emails while the battery is charging, you might want to consider getting a charging stand dock station that is compatible with all Apple devices, including the Apple Watch. The innovative platform design comes in handy for keeping your Apple watch in excellent shape when you’re not wearing it. The dock station is made from a sturdy material that can support even thick iPhone cases. 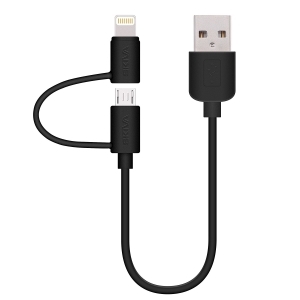 Keep in mind that the unit works with the Apple lightning cable that is not included in the product package. You can use this item with an iPad Mini as well. 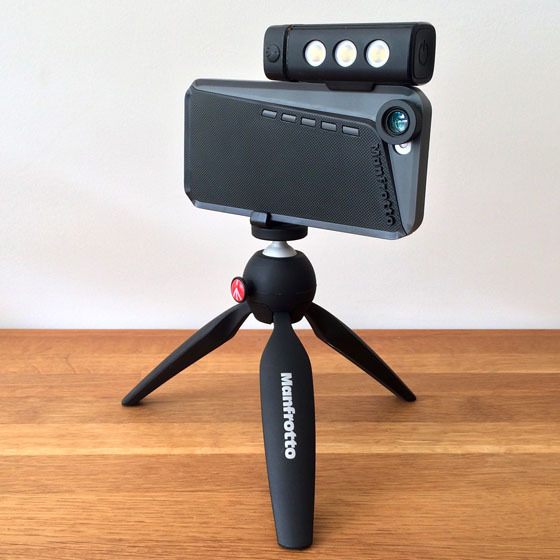 Amateur or professional photographers will most likely enjoy this small gadget that converts any regular smartphone or tablet into a genuine photo digital camera. 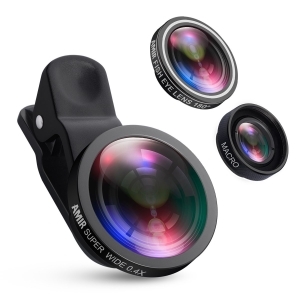 The product features high-quality cell phone lens made from high-quality glass. Aside from this, this professional HD lens can reduce the glass flare and the ghosting that usually occurs when the image reflects on your phone. The super wide angle lens increases the field of you and allows you to capture as many elements as possible with one single shot. Due to the enhanced 10X macro lens feature, you can capture the images even from a far distance. Capturing memories with your smartphone may be nice, but it’s even cooler when you can transfer them to paper. This way, you can keep them in photo albums and look at them whenever you feel nostalgic. 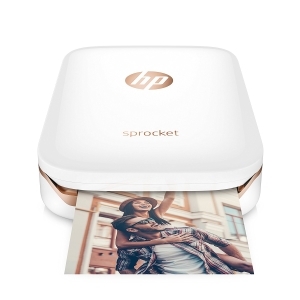 This portable photo printer lets connect all of your social media accounts to a free mobile application. From there, it’s quite easy to turn your great shots into colorful prints. The unit uses Bluetooth technology so you can take this interesting printer to parties and family gatherings and let anyone connect their smartphone or tablet. Before printing your photos, you have the possibility to customize them with funny texts, emojis, and borders. In the market for the best iPhone gadgets? If you are, we’re here to give you a hand. First things first. You have to make up your mind about what type of product you need exactly, in order to be able to better separate the wheat from the chaff. 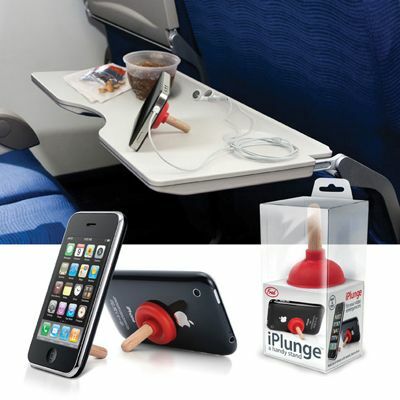 Cool gadgets for iPhone comes in many shapes and sizes and are made to meet different requirements. The simplest gadget you can choose from the plethora available for sale these days is a new case. Some are better than others, though, which is to say that they come with non-grip features or even have integrated portable batteries that can allow your smartphone to charge when you’re on the run. Estimating your specific needs and preferences is a good way of going about things as it can tell you just what you’re trying to purchase. If you’re getting the accessory as a gift for someone else, we recommend considering that person’s taste in different domains and their hobbies, as well. In addition to all of this, you should try to understand whether one of the new iPhone accessories you’re trying to get your hands on should be made for entertainment. In this case, you can choose from the many headphones and lenses available out there. Seeing how good iPhone gadgets can cost a pretty penny, and those made by Apple even more so, we’ve put together a short buyer’s guide that you can read in order to make an informed decision. Be wary of products manufactured in places you’ve heard nothing about or by brands that are relatively new in the game. Sometimes, their products might not be compatible with your phone. As we were saying at the beginning of the article, some cool iPhone accessories gadgets are specifically designed to keep you entertained. Fortunately, the audio input that your smartphone comes with is compatible with a vast array of headphones, be they made by Apple or not. Since these devices come in many forms, it would be a good idea for you to decide whether you prefer bigger or smaller headphones. Some can be extremely tiny while others can be rather bulky. Also, there are wireless headphones to consider, and these might make a great choice if you’re no fan of cables. It goes without saying that all products manufactured by Apple are made to be compatible with your iPhone model. However, we couldn’t help noticing that this brand doesn’t make cheap products. Of course, the quality of these accessories cannot be denied, but since they cost a pretty penny, you ought to tell whether the expense makes sense or not. In terms of compatibility, Apple extras always work with your smartphone. Those designed and made by other brands might not. That’s why we suggest taking some time to read as many iPhone gadgets reviews as you possibly can. Many extras are designed to be tailored to the ever-growing needs of the modern consumer. One of the requirements that such a gadget has to meet is portability. You can opt for a compact power bank that can allow you to charge your smartphone even when you’re on the run and doing errands. This way, you can rest assured that your phone will never run out of battery and that you’ll be able to get in touch with your family and friends in any event. 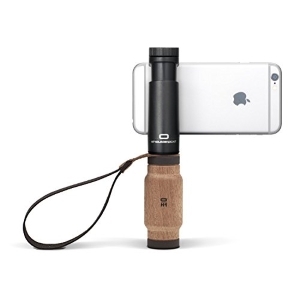 The market is overflowing with lenses for iPhones, so it wouldn’t hurt if you made an iPhone attachments comparison. While some people think that giving a lens kit to a photographer is the wrong way of going about things, it is actually a great present. After all, even professional photographers take time off and go on vacation, and the prospect of carrying their hefty equipment might be more or less appealing to them. Selfie sticks are also made for this purpose. Some people think that they’re for vain individuals who like to take shots of themselves all of the time. However, if you’re visiting a new place with your buddies or your close family members, you probably want to be in those photos, as well. Instead of being the person behind the camera, you can join in on the fun. Portable power banks are quite common nowadays as one can use them to charge various mobile devices. Nonetheless, some are better than others. For example, a Mophie Juice Pack looks just like an iPhone case but can also deliver 2,750mAh. It’s mostly compatible with older iPhone models such as the 5S or the SE, and that’s because the whole package would get too bulky or big to hold in your hand if you were to use such a power bank with an iPhone 6. Some portable batteries are better at what they are supposed to do. For instance, there are Bluetooth speakers that can also provide the juice that your smartphone needs from time to time. Several models are even waterproof, so you can utilize them when you’re at the pool with your buddies. Whatever your final call, you need to make sure that you’re getting the right accessory for your needs and that it manages to solve one of your problems. Sometimes, these items can get as simple as a car mount, and we all know how these items can come in handy if you’re trying to have a conversation while driving. For your safety and that of those of the people you’re sharing the ride with, we suggest keeping your smartphone in a mount instead of having to hold it with your hand. If you loathe texting using the automatic keyboard on your smartphone, you could go for a portable Bluetooth keyboard. A Nomad Key can also come in handy at some point or the other, especially if you never know where you put your cables.